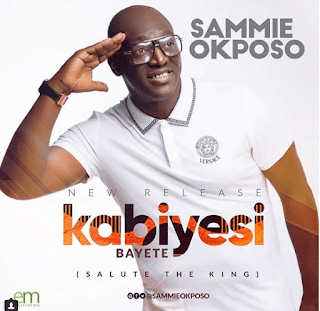 It's a brand new 365 days for the iconic gospel singer Sammie Okposo. Happy birthday to Minister Sammie Okposo on this day 30th of May, in the spirit of celebration he has released a brand new Thanksgiving song titled ‘Kabiye Bayete’. This song is oiled spiritually and is surely going to be a blessing to you. We pray for more anointing and exploits in the ministry of Minister Sammie Okposo who has been blessing the world with powerful spiritual songs and psalms for years. Download, Share, Listen and be blessed.